The Actual Retail Price for A 9.0 Action Comics is…. The bidding is over! 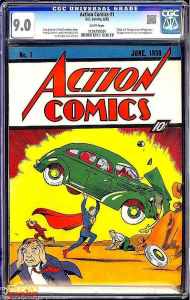 Action Comics #1 (white pages, graded CGC 9.0) became the most expensive comic book in the world after the highly publicized eBay auction closed on Sunday evening at arecord-breaking $3.2 million. 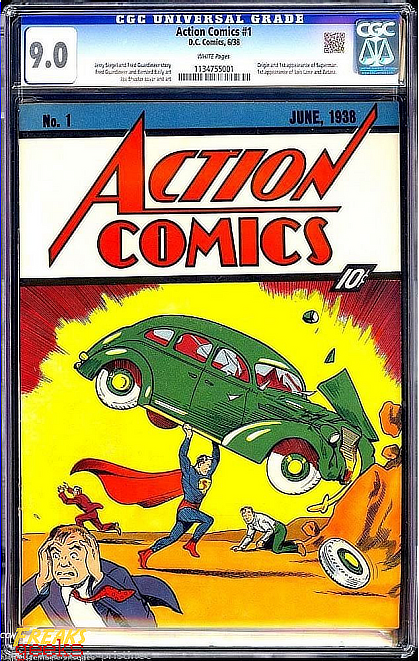 CGC holds the distinction as the only certification company that has graded every comic book to sell for over six figures — including six comic books that sold for more than $1 million and now the record-setting $3.2 million Action Comics #1. To learn more about the auction results, click here.